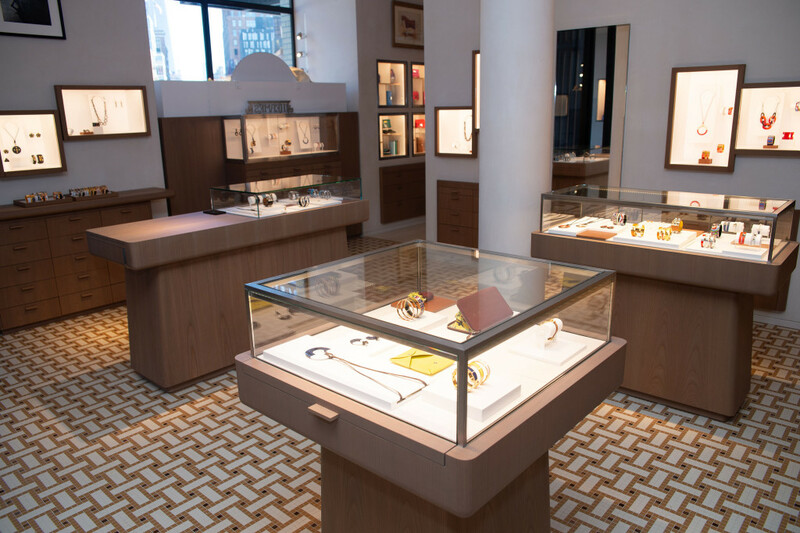 Hermès is opening a new boutique in Meatpacking district, New York. Taking inspiration from the neighborhood’s industrial heritage, the landmark building features restored ironwork and a yellow brick façade, creating a dialogue with the district’s cobblestone streets. 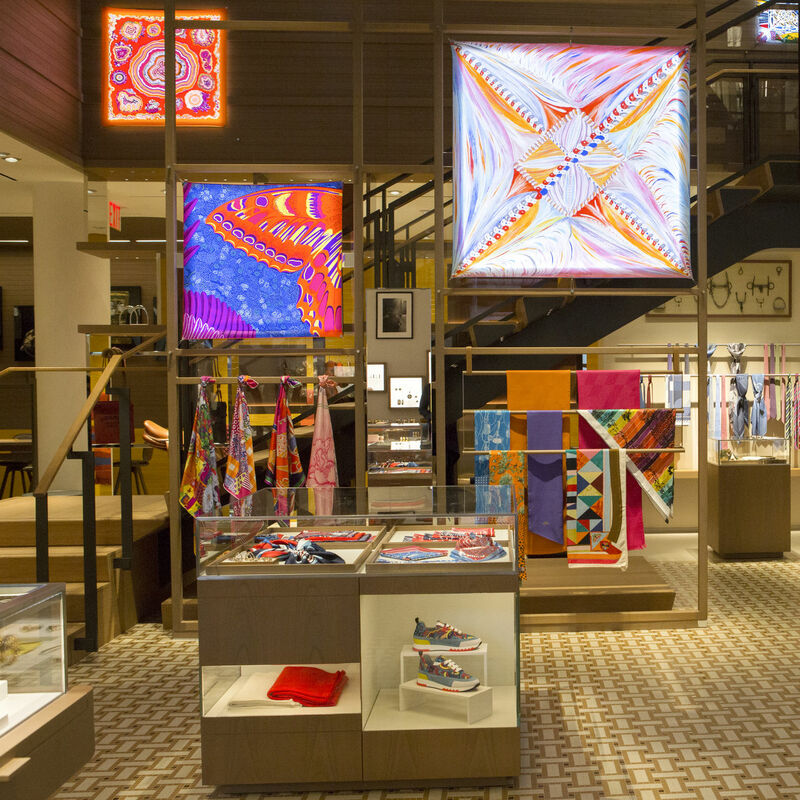 The contemporary boutique encompasses a retail area of 5,330 ft² over two floors. 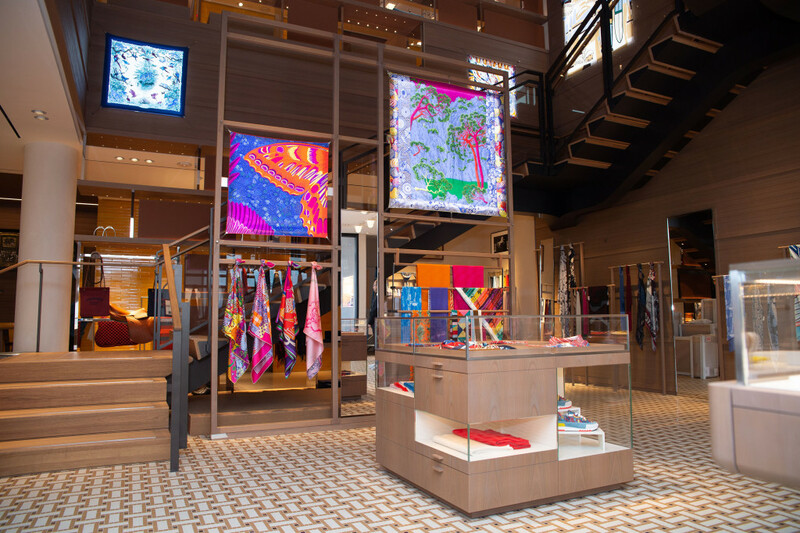 Upon entering the space, visitors will be greeted by the quintessential ex-libris tile mosaic in earthy toffee browns from the original Hermès store at 24 rue du Faubourg Saint-Honoré in Paris. The silver-gray cherry wood used on the walls and for the furniture is sandblasted to give an industrial feel appropriate to the neighborhood, with a finish as smooth as the camel-colored leather and bronze metal with which it is paired. 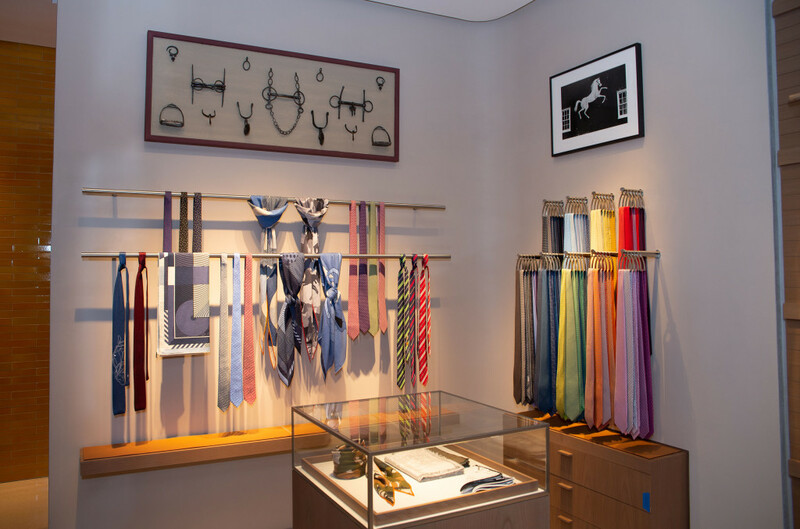 At the back of the store’s first floor, a sweeping staircase animated with carrés leads the visitors from the silks, ties, leather goods, fashion accessories and perfumes to the second floor. Here, they will discover the men’s and women’s ready-to-wear, jewelry, watches, objects for the home and shoes, lit in entirety by an existing skylight inviting a cascade of natural light. Along the back wall, enamel lava stone tiles create a visual echo with the pale-yellow brick of the building’s historic façade. To celebrate the opening, display windows on Gansevoort Street will show installations by sculptor Ruby Wescoat. This 36th address in the USA is an opportunity to celebrate the long-standing relationship that has existed since the 1930’s. Engaging with the creative spirit of the city and its many diverse cultures, this new address is ready to make the Meatpacking District its home.